The Panasonic ER-GB 40 series is an award winning facial trimmer that is designed for men. It is a wet and dry combination shaver that delivers an exemplary shave. It has a variety of adjustable settings that make shaving and trimming a breeze. The shaver also comes with a charging deck that is extremely easy to use and provides a secure storage area for the shaver. The purpose of this review is to provide a clear analysis of the benefits and drawbacks of this product. It will also cover the features and attachments the Panasonic ER-GB 40 comes with as well. The Panasonic ER-GB 40 is an ideal shaver for those looking for ways to trim and maintain various facial hair styles. Its casing is completely waterproof making it a perfect wet or dry shaver. It also has a unique water drain that makes cleaning the blades a breeze. The water flows in through a special compartment and is then directed through the blades to flush out hair and debris. In addition, it has 19 adjustable settings that allow users to customize the cutting length. The shaving blades are engineered to deliver precision cutting due to their 45-degree angle and are made with stainless steel to ensure extended wear and comfort. The shaver is also fully cordless. When not in use, the shaver is stored in its included stand. The stand will glow red while the shaver is charging providing a clear indicator of when the battery is fully charged. This unit is available for purchase from Amazon for just $34.99. This section will cover the most important features of this product. We will cover a variety of aspects like overall comfort, ease of use, and cutting capability. These features are what stand out most with this particular model. Travel Ready. The Panasonic ER-GB 40 is the perfect size for luggage. The unit is extremely lightweight and weighs only 5.3 ounces. It is also only 7.1 inches tall. Ergonomic Design. The shaver has a unique ergonomic design that provides a comfortable feel. The handle is also covered in a rubberized material that provides a secure grip in wet and dry environments. Fully Waterproof. Panasonic’s ER-GB 40 model is fully waterproof. This makes it a perfect shaver for both wet and dry environments. It also makes cleaning the blades much easier. Unique Water Channel. This shaver has a special water channel that makes cleaning the shaver a breeze. When water flows into the channel, it is then directed through the blades. This allows users to easily remove stray hairs and debris under running water. Fully Cordless. The Panasonic ER-GB 40 model is fully cordless. All charging is done by leaving the shaver on the included charging base. The unit is also able to be plugged in directly for longer shaving jobs like body hair trimming. Precision Cutting. The shaver has a built-in guard that allows users to easily customize shaving length. It has an easy to use dial system that has 19 different length settings. The guard is also able to be removed for a closer shave. The features covered below are some of the biggest drawbacks of the Panasonic ER-GB 40. These features include things like charging time, warranty, and shaving capability. Before purchasing, review these traits further to determine if the shaver is right for you. Long Charge Time. The charging time of the Panasonic ER-GB 40 is extremely long. To achieve a full charge, the device must stay in its charging cradle for 15 hours total. The initial charging period is a full 24 hours. Trimming Only. This shaver is not designed to deliver an extremely close shave. It is better suited for trimming and facial styling. Even when removing the guard, you will not achieve as close of a shave as you would with a regular electric shaver. Blade Replacement Process. 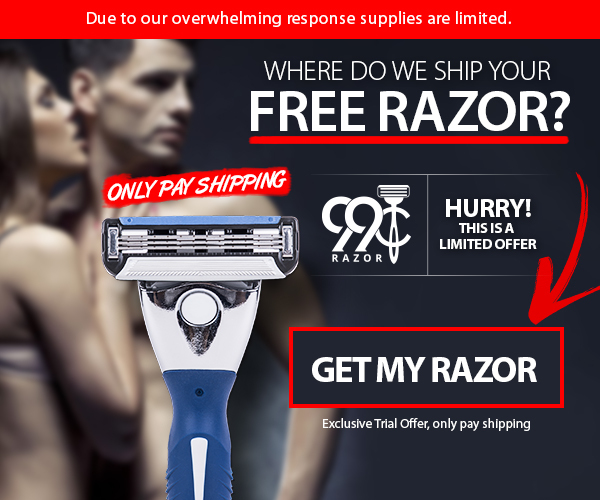 The blades are not able to be replaced by consumers on these shaving models.They do have a full two-year warranty. However, if you need to replace your blade you will have to ship it to the manufacturer for service. Oiling & Maintenance. The blade assembly of the Panasonic ER-GB 40 can be rather difficult to remove. This makes regular maintenance like oiling somewhat difficult to perform. Battery Life. The battery life of this shaver can vary considerably based on use. The manufacturer’s warranty covers a two-year period for the battery. However, in the manual it states battery life varies. For example, the battery will last three years but only if the shaver is charged once every two weeks. The Panasonic ER-GB 40 includes the electric shaver, charging stand, power adapter, and cleaning brush. Additional accessories like oil and travel case are sold separately. Most users agree the Panasonic ER-GB 40 is a very well-made hair trimmer, in spite of its low price. 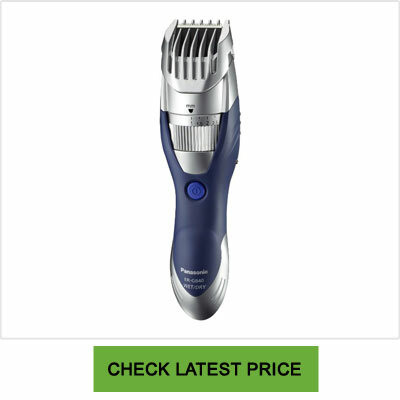 Quite a large number of users mentioned the fact that this trimmer has just as many features as more expensive mens shavers and costs a fraction of the price. User reviews also mentioned that this shaver is ideal for men with sensitive skin. The trimmer guard keeps the blades far enough away from the face so as to avoid irritating the skin. However, the quality and closeness of the trim are not affected. Some reviewers also highlighted the fact that this shaver is easy to clean and maintain. Overall, many users recommend buying this shaving device over others for its solid build, high-quality razor blades, and ease of use. The Panasonic ER-GB 40 is an excellent shaver for those looking for ways to trim and maintain various facial hair styles. It is also able to handle larger jobs like body hair trimming with ease. The simple click system provides a broad range of length customization options. In addition, it is extremely easy to clean. You simply run it under the faucet and the unique water channels flush out clogged hair and debris from the shaving head. The shaver can also be used in wet conditions as well, providing enhanced comfort for those with sensitive skin. With that being said, we definitely recommend buying the Panasonic ER-GB 40.